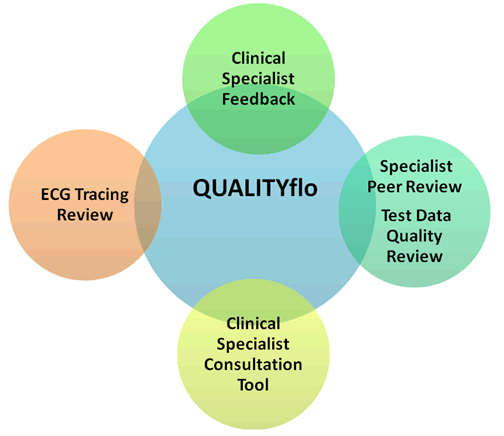 QUALITYflo: Dedicated to bringing efficiency and traceability to quality review processes. QUALITYflo enables you to auto-generate samples, conduct blind reviews, document grades and commentary, store and retrieve reviews, all from one application. Read more about Automated Feedback. Use the QUALITYFLO module in ViTELflo to quickly implement and maintain your organization’s clinical quality auditing program. QUALITYFLO automates review processes and provides easy-to-locate, demonstrable evidence of your organization’s commitment to the auditing process and ongoing quality control. Onsite repair or replacement of equipment takes place within one business day.